Some car enthusiasts will tell you that cars are “alive.” They may even rant on and on about a bond between driver and machine. Well, it seems a recent experiment conducted by Lexus has taken these sentiments to the next level. Lexus has made automotive sentience closer to our door by equipping a custom RC-F coupe with a human heartbeat. 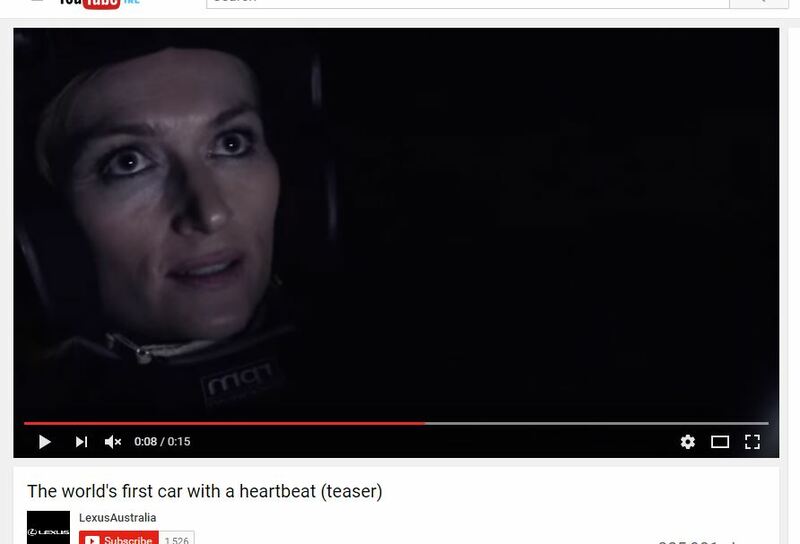 The car was a new conceptual project by Lexus Australia and M&C Saatchi Australia’s creative tech division. The aim was to create an experience that more deeply connects the car to its driver. The coupe was covered in electroluminescent paint that glows when hit with an electric charge. Its body panels are wired to a circuit board that collects data from sensors attached to the driver’s body. 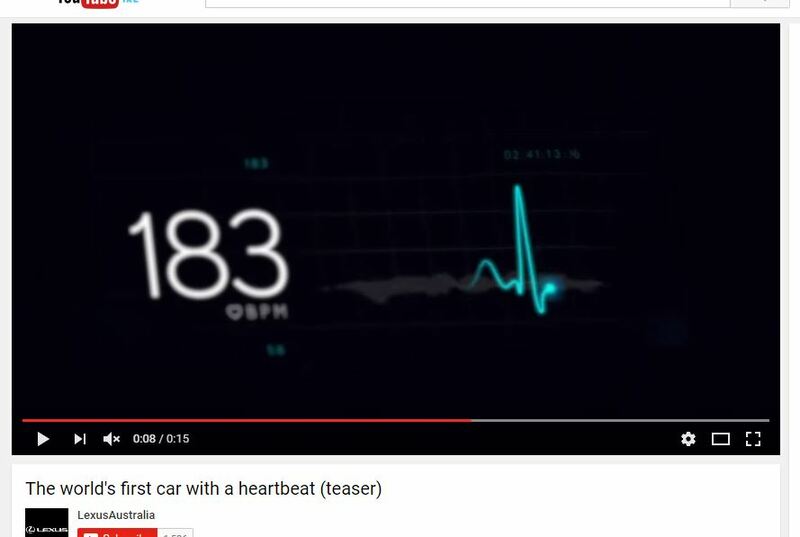 As the driver’s pulse races and slows, the car lights up and fades in the same pattern. Think of all the wearable tech that many athletes use to monitor their body and apply it to the experience of driving a performance vehicle. Lexus claims that the project is but one of many steps toward creating cars actually capable of recognizing the emotions of drivers (take that “mood rings”). If a driver is experiencing road rage or extreme sleepiness, the car may be able to react accordingly, potentially preventing accidents or reckless driving. But how does it work? 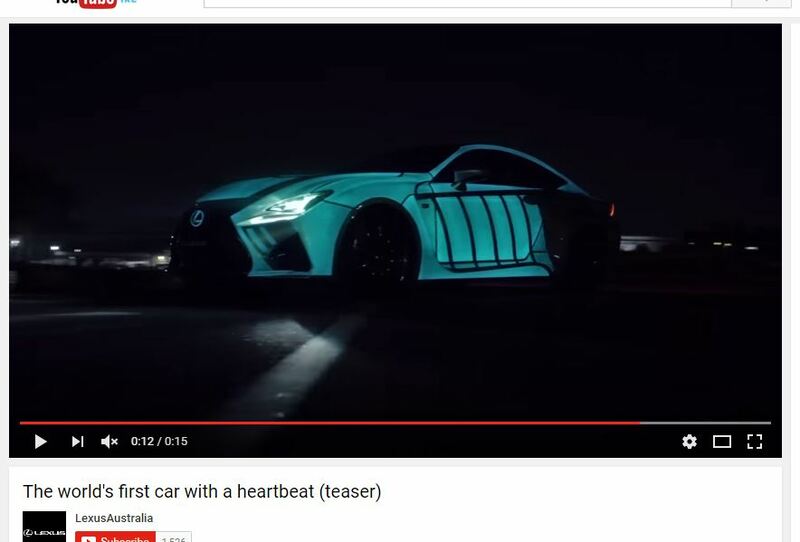 As stated before, the car is covered with special paint full of phosphorescent substances that shine when it is struck with an electric charge. To get the vehicle to light in sync with its driver, the driver must wear sensors on their body while driving. Body panels, which are wired to a circuit board, collect and send the biometric data picked up by the driver’s sensors to get the vehicle to glow. According to a Wired report, the car took about six months to finish and is solely a concept car, so don’t expect to see these on the road anytime soon. The company had three professional drivers take the concept car for a test spin to demonstrate how the car works. The system is powered by a 13V battery which can recharge itself when the engine is and when the car is parked in the day time and the system is shut down, the car has a standard silver finish, with its secret heart pulsing potential hidden from sight. For example, it could be programmed to glow along one side when turning, or light up in a special sequence when accelerating. For now, this is just a one-off concept, and Lexus currently has no plans to add this feature to any more of its cars. That’s probably a good thing, because it seems like this would be an incredible distraction if it were to actually hit the streets. In a future where cars may be able to drive themselves, the prospect of the human element synchronizing with the car creates another road of possibility.